Although Advising Day was last week, some students may still be trying to get the classes they want or need. There are also some classes that students may not even know are available or can be substituted to meet other core requirements. Of the 855 classes being offered in the fall, many may be unfamiliar to students or are being offered for the first time. In the College of Humanities, Education and Social Sciences, there is a wide variety of courses being offered next semester. In the English department, Advanced Composition: Writing About Place (ENGL 211), Literature for Young Adults (ENGL 321) and American Literature after 1945 (ENGL 334) will be available next semester. Writing in Digital Environments (ENGL 358) will be offered and, according to the course description, it will consist of learning how to write social media content for target audiences and teach students how to produce strong marketing language for professional blogs and websites. Students will also design professional looking websites for real clients and critically understand digital writing practices. There are two art courses being offered in the fall that count as the Liberal Studies Fine Arts requirement: Issues in Music History (ARTS 213) and Music and Media (ARTS 260). Megan Woller, Ph.D., will be teaching both classes. Woller said that Issues in Music History will focus on music and gender. The course will look at how music and ideas of gender have been represented throughout time in Europe and the U.S. It will include music ranging from Baroque opera to David Bowie and Lady Gaga. Music and Media will be focusing on film music. Woller said that the course will include some foundational film music history with a focus on actively listening and interpretation. 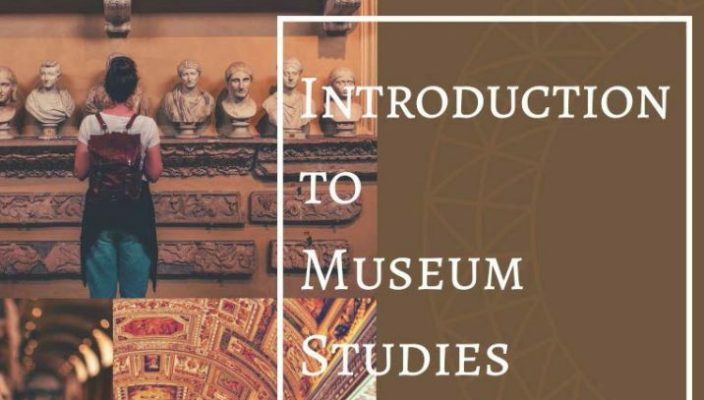 Another course that may interest students is Introduction to Museum Studies (ARCH 304), which will introduce students to the world of museums and historical societies and to the various facets involved in exhibit research, design and implementation. There will be also be a hands-on component. 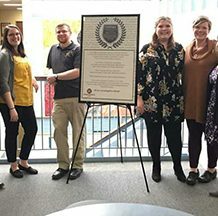 There will also be a class project in museum exhibit design that will utilize archaeological resources in the Archaeology Museum Gallery, located in the Center for the Communication and the Arts. Aaron Brown, a sophomore biology major, said these new classes will increase the depth of educational opportunities Gannon has to offer. “It will serve as an example for other schools in pioneering new and innovative course ideas,” Brown said. Anthony DiFonzo, a freshman criminal justice major, said that these classes sound cool. “I think it’s awesome to create such unique and diverse classes for students to take,” DiFonzo said. Randall Sutter, a freshman public service and global affairs major, said increasing the amount of courses being offered can expand the range of topics that students learn. “I think it enables Gannon to become a leader in offering interesting, new topics to the student body,” Sutter said. Other CHESS courses being offered include Introduction to the Middle East (HIST 286) and The Global Sixties (HIST 311). The Introduction to the Middle East explores Middle Eastern history from the rise of Islam to the Arab Spring, with some reference to current events. 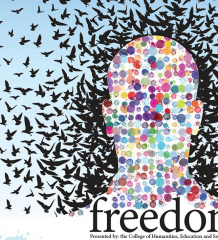 The Global Sixties will examine the 1960s as a global phenomenon. Through thematic sections, students will learn world history through the prism of a tumultuous era. Jordan Glowacki, a sophomore physician assistant major, said that she isn’t planning to take this course, but she would love to in the future. “The ‘60s have always fascinated me growing up, hearing firsthand stories from both of my parents whose childhoold unfolded before them,” Glowacki said. “The uncertain edge to the decade piques my interest most with the assassination of JFK, an event that has always given me much to think about. One of the new courses being offered by the Computer and Information Science department in the fall is Global Project Management (CIS 353 – Sweden Project Course with Uppsala University). According to Stephen Frezza, Ph.D., a professor of software engineering, it will focus on experiential learning emphasizing software development with remote, multinational teams using an open-ended group project approach. Students participating in this course will be co-developing an IT project with other remote teams for a project that is primarily sourced in an offshore location. Another course is Mobile App Development II (CIS 337), which for the first time is running in iOS development where students in the class will learn to build an app. The course description says that it is a project and team-based course that will emphasize the practical issues in the design and implementation of information systems. The rational integration of technology options across an enterprise will also be emphasized. Gannon offers a large selection of courses, so take time to go through all the options when creating your schedule. Check GUXpress and Student Planning for the days and times the courses are being offered and to see if seats are still available if you are looking to add any of these classes to your schedule next semester.